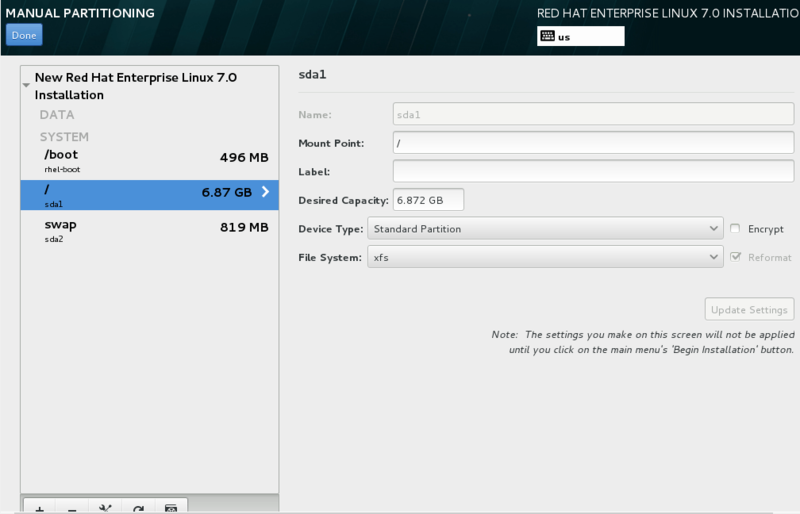 Installation of RHEL7 with Screenshots. 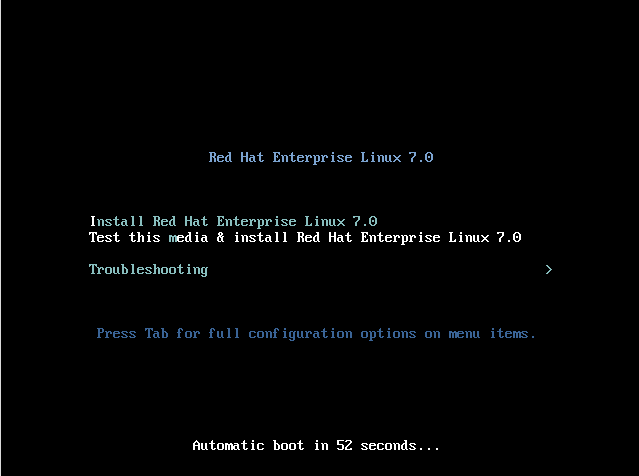 Select install Red Hat Enterprise Linux 7.0 on GRUB menu. 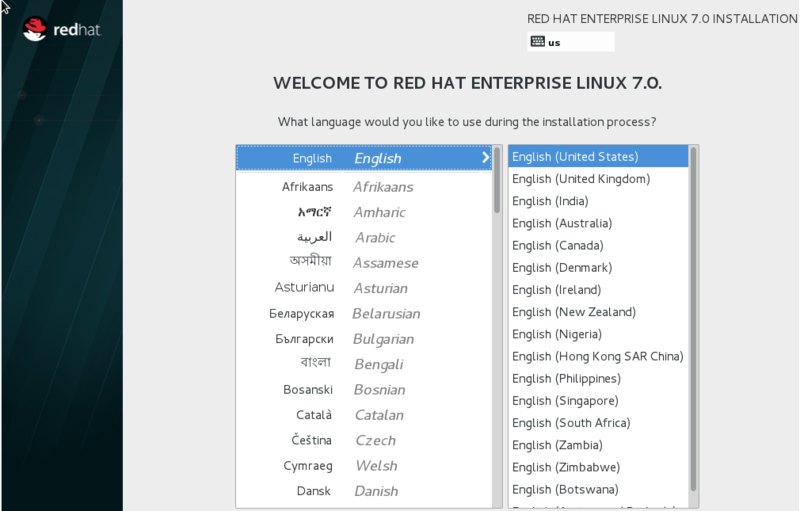 Choose your language preference,Which would you like to use during the installation process. 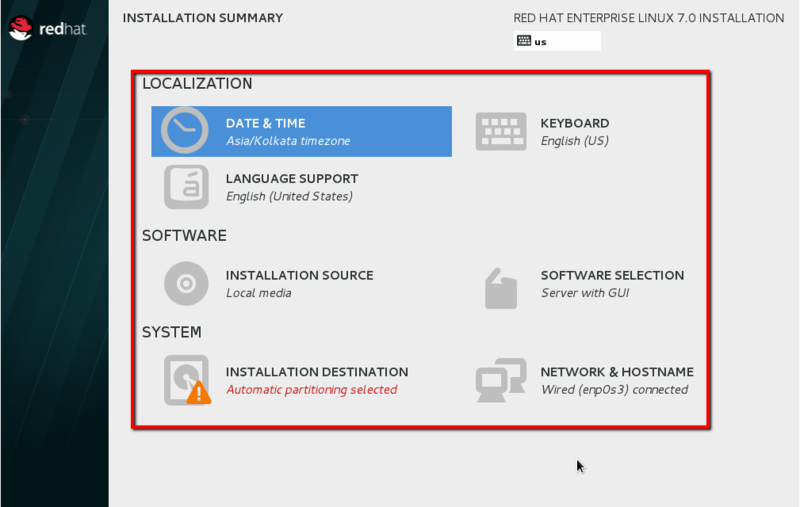 Now in step third RHEL7 gives us an options to set location,Date and Time , In the software section , i have choosen Server with gui option for graphical interface and at last in the System section there is an installation destination,you can choose to customize your partition scheme. 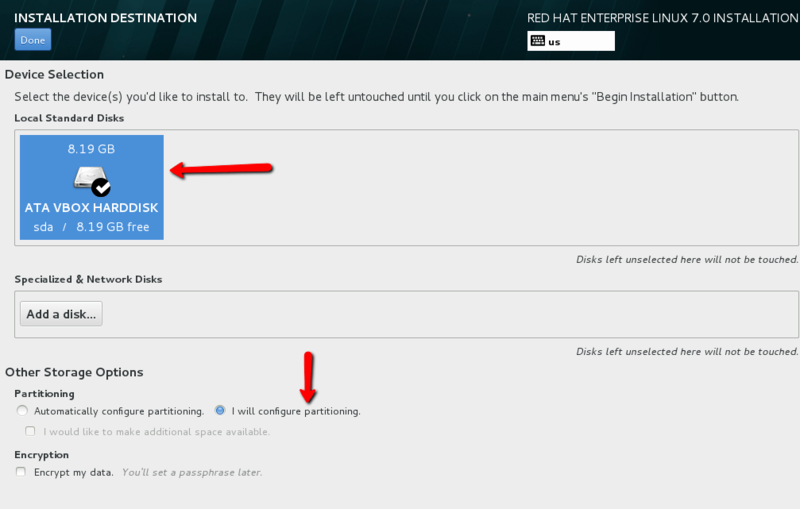 In choosing the partitioning section rhel 7 , select the device where you want to install and I have choosen option “i will configure partioning” after the selection of your choice ,click on the left hand top their is “Done” menu button . After clicking on the “Done”menu button you will find another screen where you can create partitions as per your choice. You can use the “+” icon to create partition. You just need to specify the mount point and the size in mb or GB as desired. The best thing in RHEL7 is that when you bring your mouse over the text box, it will show you how and what values need to be supplied. I have only create / , boot and swap basic partion. 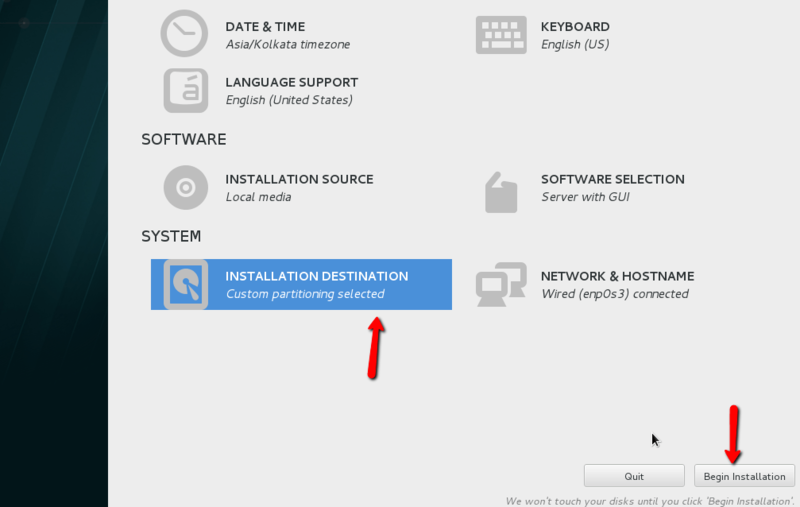 Now Installation Destination option looking without notice sign. After click on left hand top “Done” button . 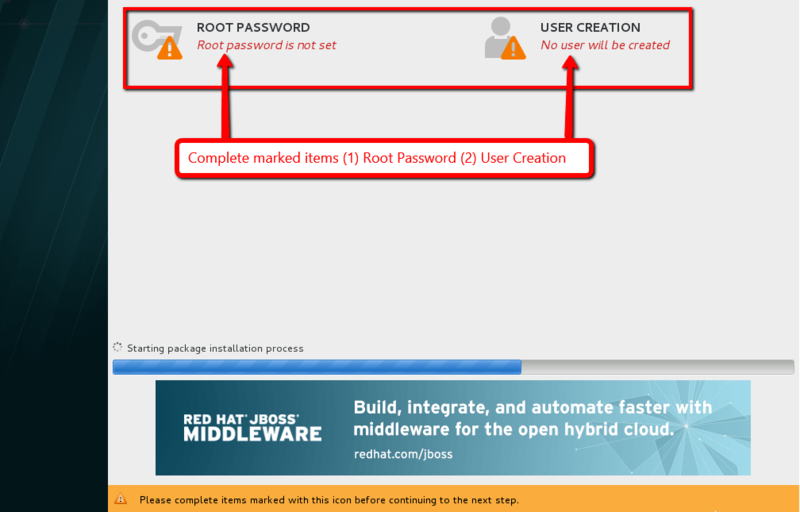 RHEL7 gives the opportunity to set root password and user creation . 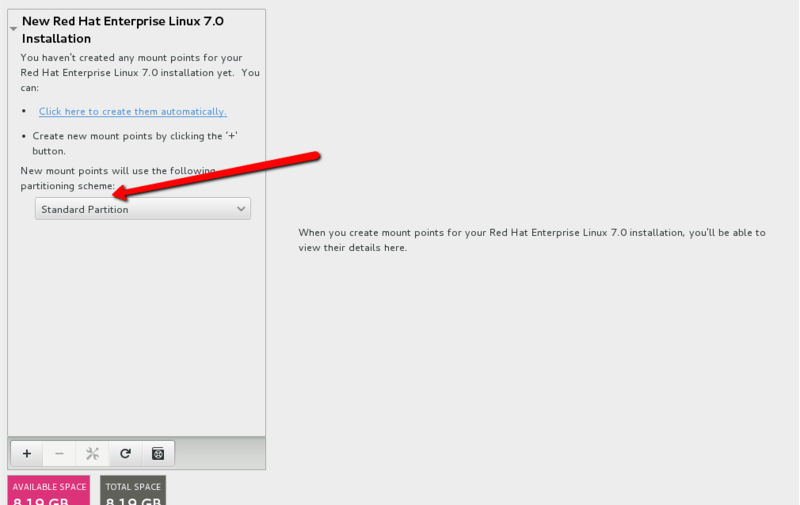 Set the password and create a user for RHEL 7 .